Happy Holidays from the Clarke! The staff of the Clarke Historical Library would like to wish you and yours a happy holidays. Central Michigan University will be on winter recess throughout the holidays and the Clarke will be closed during that time. We will close Friday, December 19 at 5:00 pm and reopen Monday, January 5 at 8:00 am. Before going on break, Marian Matyn has highlighted one of the the many series of documents in the Clarke that mention Christmas and the holiday season. The Clarke archives has 25 collections with some mention or documentation of Christmases past. Remembering our troops, here is an example from a WWII soldier. Pvt. Harley Whelpley served as a private in Company C, 167th Engineers Construction Battalion in France and Belgium in 1944. He may have been from Mich. No further information is available on him. The collection (1 folder) includes V-mail correspondence from a soldier in France and Belgium during World War II, Nov. 30, 1944-Feb. 18, 1945, to friends, Mr. and Mrs. (Pearl) John Riegle of Gobles (Mich.). 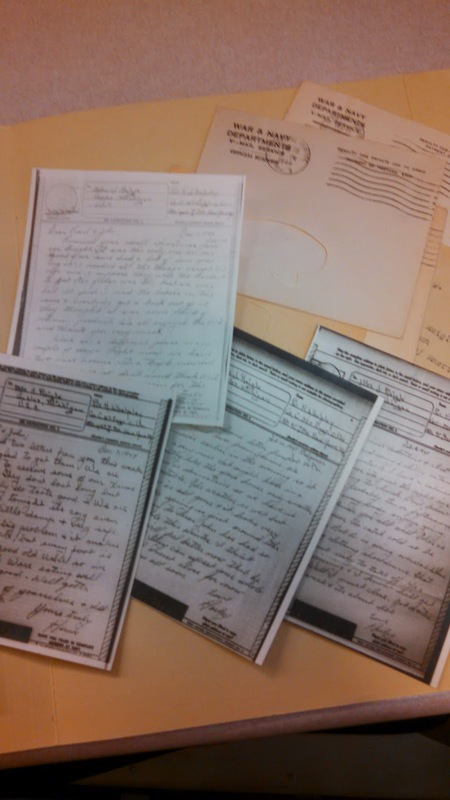 Whelpley wrote about receiving correspondence, Christmas packages, and Valentines cards; sleeping with other soldiers in small rooms and in a cupboard he turned sidewise; and trying to find a church to attend for service. 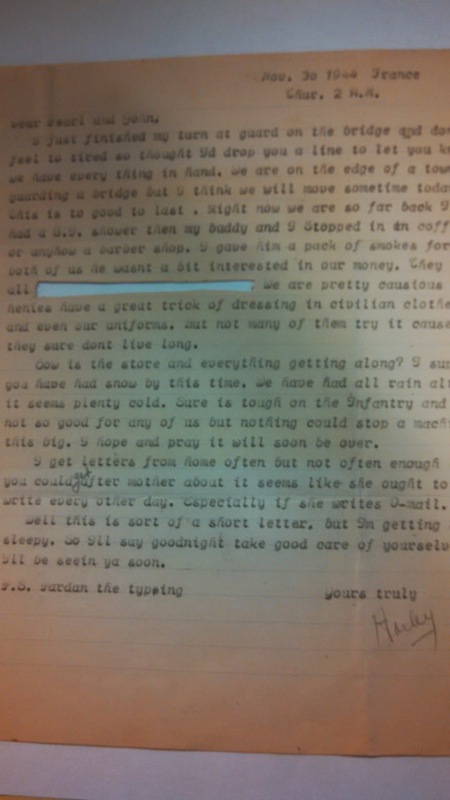 The letters include one original (Nov. 30, 1944). The rest of the correspondence are photostatic copies. Received your swell Christmas package tonight. It was the only one in our squad & we sure had a lot of fun opening it. I needed all the things except the cigs and I suppose they were the hardest to get. The fudge was the best we ever had. At first I read the labels on the cans & everybody thought it was some kind of vitamin product. We all enjoyed the food and thank you very much.